UNITED NATIONS, September 22. /TASS/. The United States’ authorities have artificially created tension around the report by the United Nations Security Council’s sanctions committee on North Korea, Russia’s Permanent Representative to the UN Vasily Nebenzya said in an interview with TASS. 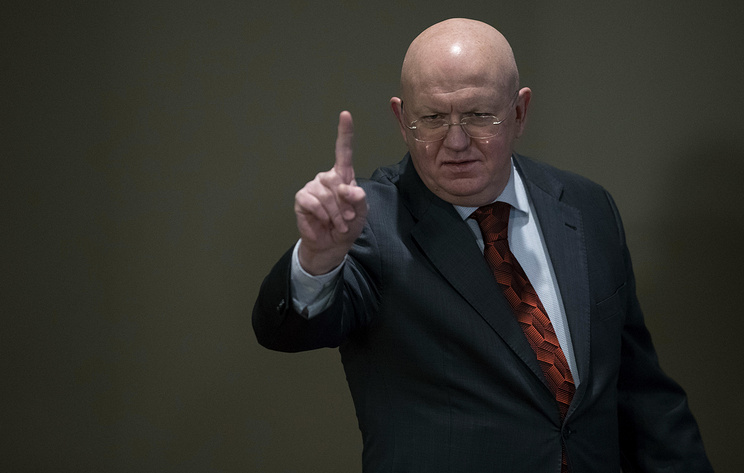 "Apparently, the Americans do not allow any assessments, which run counter to their stance," Nebenzya said in an interview ahead of a high-level week of the 73rd UN General Assembly. "The situation around the report has been artificially inflated. This is just too much about nothing," the diplomat said. "The Americans seek to usurp this process, using the sanctions structure for solving their own tasks, first of all to punish North Korea for its stubbornness, as it seems to them, and they do not want to turn the US-North Korea dialogue into a ‘two-way street,’" Nebenzya stressed. He added that the US, not Russia, disagrees with the report of the UN sanctions committee and blocks its release. "They did not like the fact that the report included an amendment, which takes into account our concerns and assessments. This is normal practice," he noted. The diplomat rejected claims that Russia exerted pressure on the UN sanctions committee’s experts. He insisted that Russia and other member-states of the committee made some remarks, "which were perceived in a right way by the experts and were later taken into consideration during the preparations for submitting the report to the Security Council," he explained. On September 17, Washington convened an extraordinary meeting of the UN Security Council on North Korea amid discontent that Russia amended the report on sanctions. US Secretary of State Mike Pompeo claimed that Moscow’s steps were an attempt to undermine the UN Security Council’s resolutions. He also voiced hope that the document’s original text would be released without the amendments proposed by Russia. In December 2017, the United Nations Security Council unanimously passed a resolution toughening sanctions against North Korea over its November 29 ballistic missile test. The document further restricts supplies of crude oil and oil products and insists all countries expel North Korean labor migrant in a span of 24 months. The resolution envisages other restrictions that concern exports of industrial equipment, heavy machinery and transport vehicles to North Korea and imports of North Korean commodity. In 2017, the UN Security Council approved imposing three sets of restrictions on Pyongyang in response to its missile and nuclear tests.